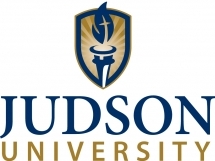 Judson University is a fully accredited, private Christian university of the liberal arts, science and professions. Judson offers degrees in more than 50 different majors/minors for traditional, graduate, and adult students. Judson University ranks consistently among the Top-Tier of Regional Colleges in the Midwest by U.S. News and World Report. With an academically challenging environment and encouraging spiritual community, Judson shapes lives that shape the world. Judson is home to more than 1,200 students from 30 states and 25 countries and has two campus: a 90-acre campus in Elgin at State Road 31 and I-90 and a satellite campus in Rockford. An active ''citizen'' of the City of Elgin, Judson is committed to serving the city's needs through strong partnerships with businesses, schools and non-profit agencies. Judson is also home to the annual World Leaders Forum, whcih has brought George W. Bush, Mikhail S. Gorbachev, Tony Blair and Condoleezza Rice to Judson's campus. The World Leaders Forum offers our students and area professionals the opportunity to be in the presence of and inspired by World Leaders. It is also a catalyst to raise the captial necessary to begin and Entrepreneurial Studies Program at Judson University.